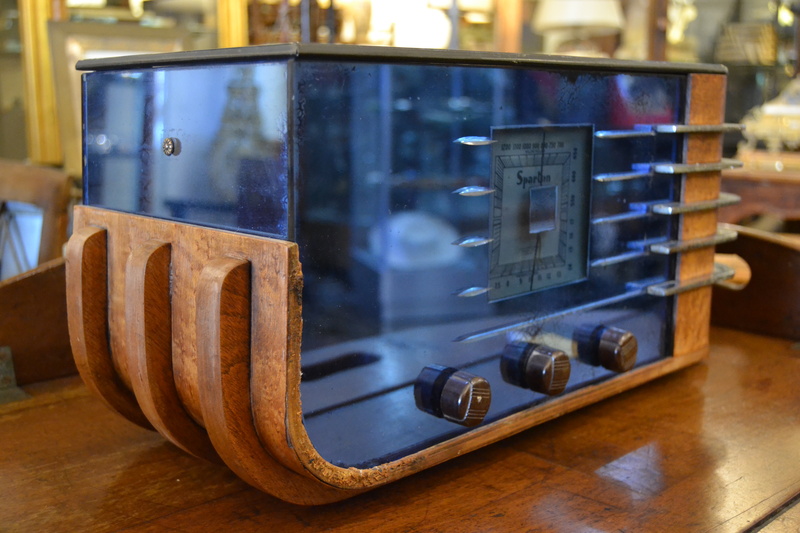 This week, I get to lust after another beautiful pre-war piece. The Sparton Model #557 “Sled” was introduced in 1936 and only manufactured for a year. 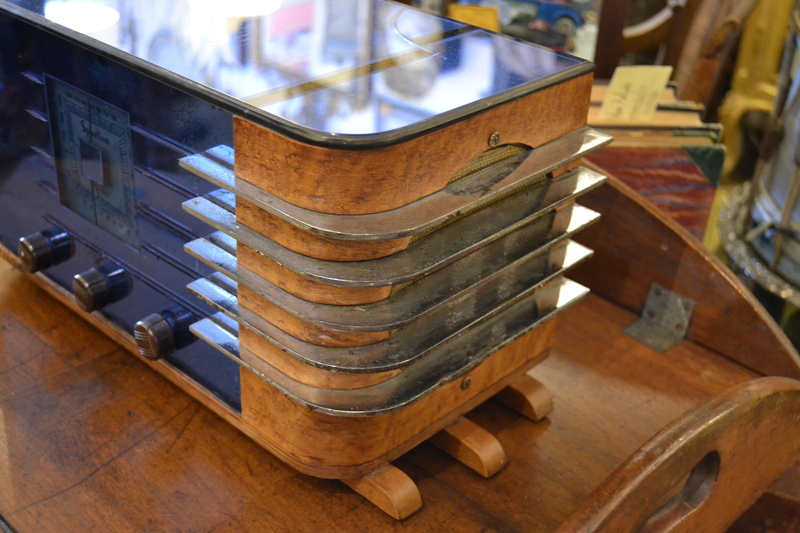 Its beautiful, elegant design is indicative of inter-war Art Deco and the streamlining of Mid-Century Modernism. It needs a little work to be perfect, but ones in good condition can fetch $3000 on eBay. 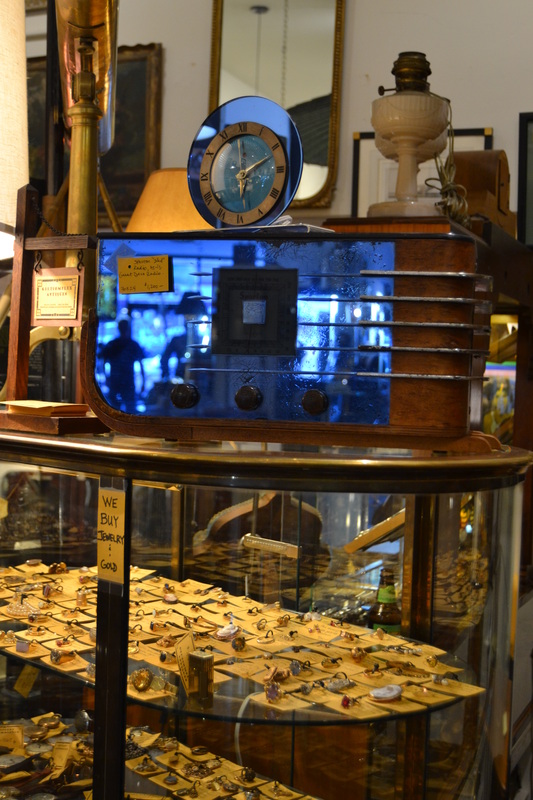 Now, I’m no antique-radio junkie, it’s simply the aesthetics of this fine example that speaks to me. Thus, at $1200, it’s a little outside my normal radio budget, if you will. However, for a radio guy, this might just be the find you’ve been searching for. 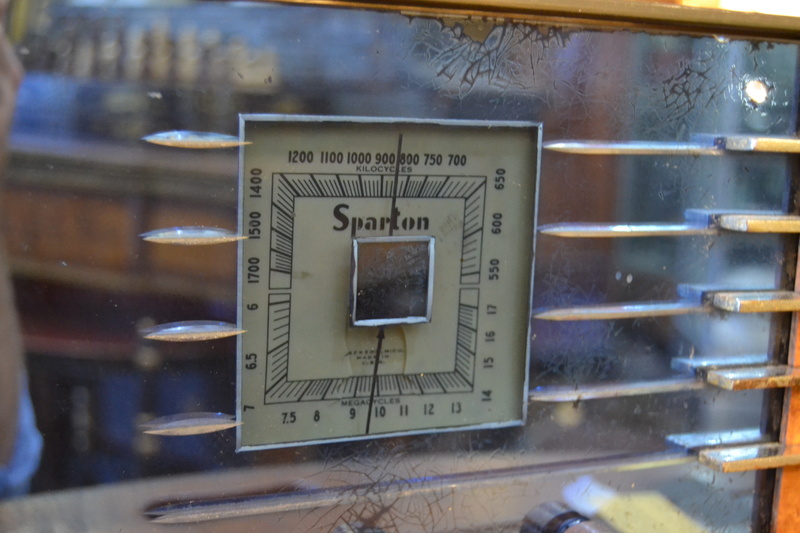 Read more about Sparton Radios HERE. 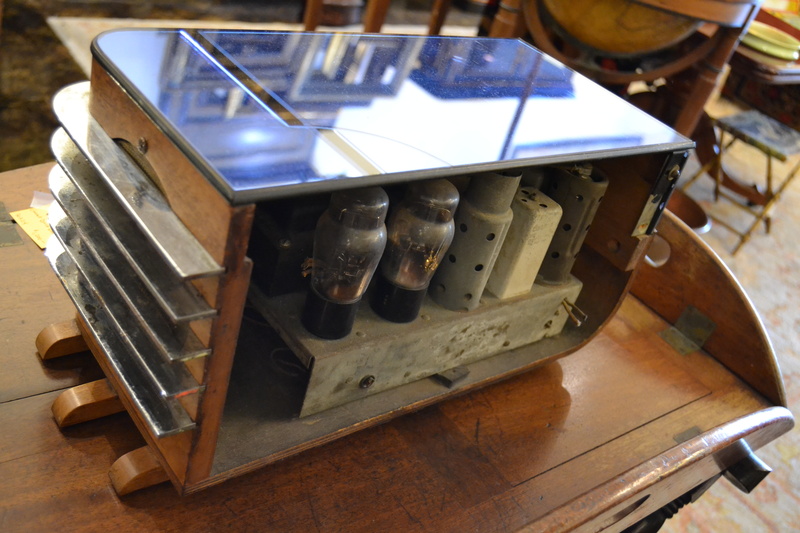 This piece, however, a Telechron #4F65 Electric Clock, was built in 1927 at the height of the Art Deco moment. Henry Warren, the founder of Telechron (originally called The Warren Clock Company), was influential in creating the first electronic clocks with synchronous motors, and even regulated the Boston Edison power grid. There was a time, Jim Linz writes in Electrifying Time, when the company’s electric clocks regulated 95% of the electric lines in the United States. It is not a surprise, then, that the company changed its name to the more-modern “Telechron” shortly after the First World War. This little gem is gorgeous. 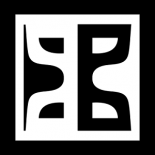 With no crazing, scratches, or cracks, it looks literally unused. The power chord even looks new, and looks to be recently replaced. 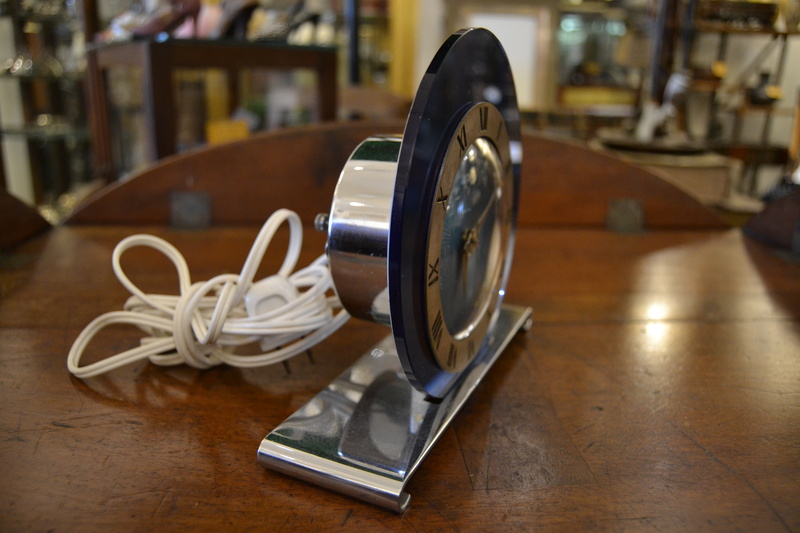 Despite the company’s innovations to electric synchronous clock motors, their Mid-Century popularity was due more to their sleek, streamlined Art-Deco allure. 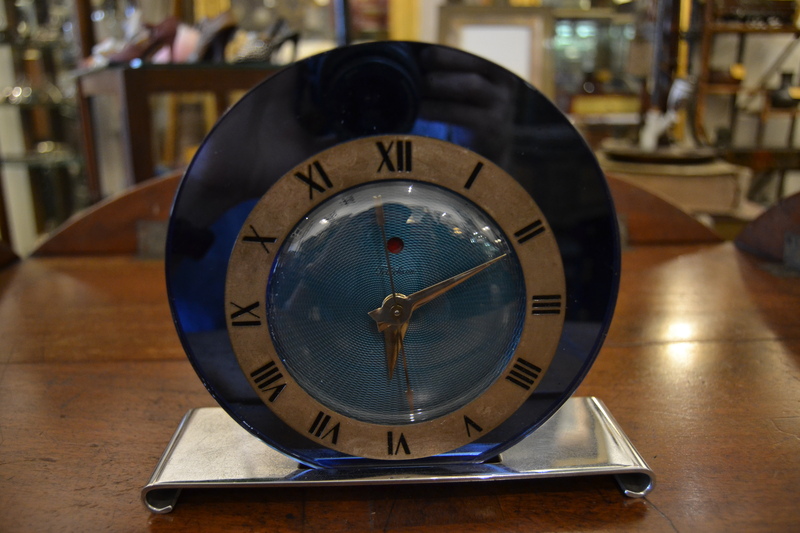 This clock, listed at only $250, is well within my budget (clock or not), and deserves a place in my home office. I think I may need need to take this one home with me. 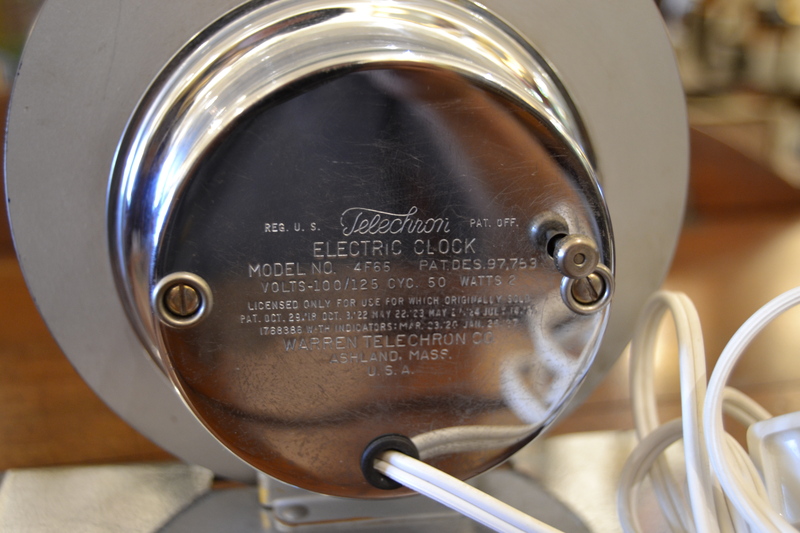 Read more about Telechron Electric Clocks HERE. uh, yeah I’ll take it. 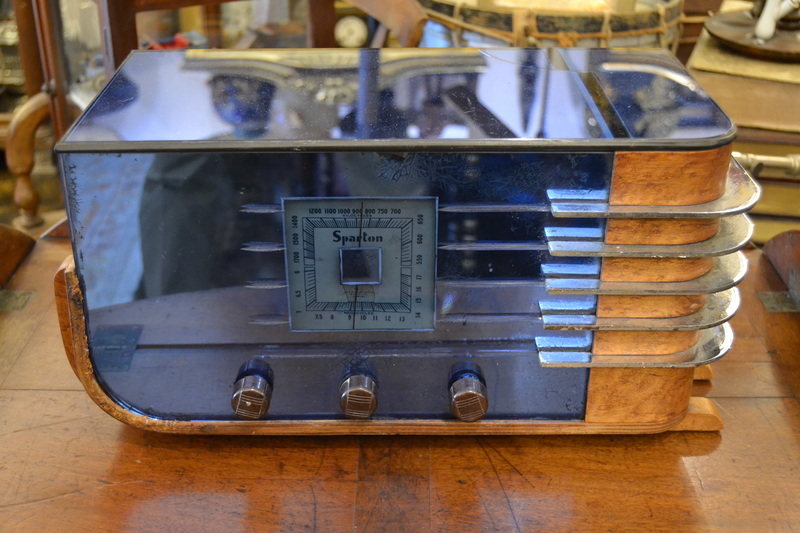 This entry was posted on July 3, 2014 by grahamtbaden in Antique Envy and tagged Antique, Art Deco, Clocks, Covet/Budget, Electric, Envy, Mid-Century, Modern, Radios, Sparton, Telechron.